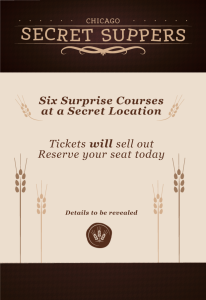 Chicago Secret Supper Ticket Giveaway! Great news! 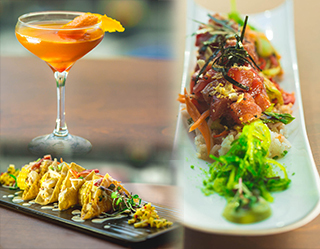 Dishcrawl Chicago has given me one free ticket to give away to their Secret Supper on Tuesday, April 1st at 7pm at secret location in River North. In order to enter for a chance to win, visit http://www.facebook.com/dishcrawlchicago and leave a comment. The person with the most likes on their comment will win! The winner will be announced on Friday 3/28 at noon. 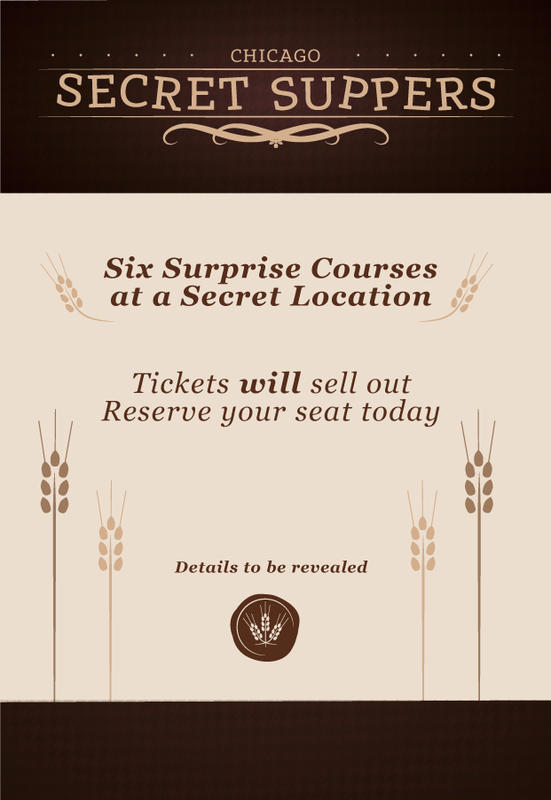 Good luck, and I hope to see you at the Secret Supper! The chef (Chef Patrick Glatz) is amazing (see my post at http://tastebuddiaries.com/?p=653), and the dinner will be fantastic! Comments Off on Chicago Secret Supper Ticket Giveaway! « Hot off the Press: Chicago Secret Supper Chef Announced!